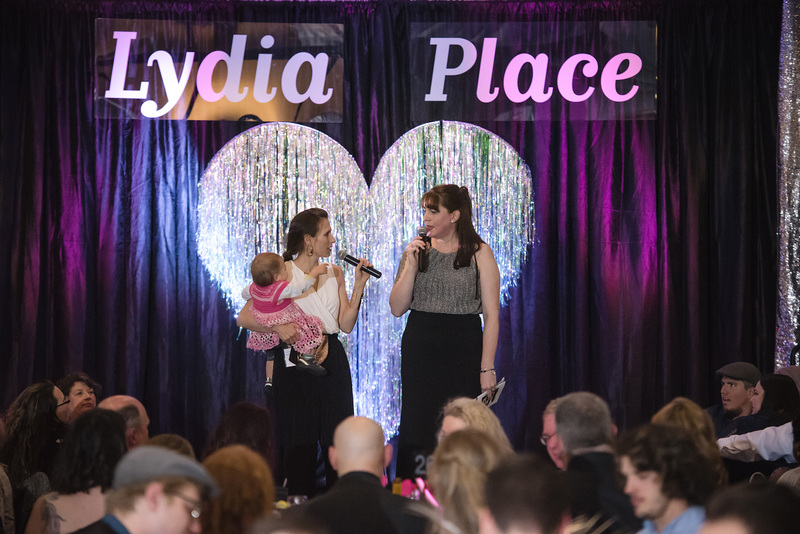 Lydia Place benefits help support the organization throughout the ear, such as the hearts for housing event. But Bowling for Beds is meant to support their specific need of more hotel stays. Photo credit: Matt Priestman. Lydia Place is a powerhouse of love and support for the homeless in our community. The group continually rises to meet the dynamic needs of a changing population with the help of community partners. As homelessness has continued to rise, Lydia Place is committed to the community value of “no kids in cars.” Over the past 18-months, this has meant providing over 2,000 emergency bed-nights in motels for unsheltered families with children. Friends come together to benefit Lydia Place. Seen here from left to right are MegAnne Offredi, Dana Weber, and Tally Rabatin. Photo courtesy: Tally Rabatin. Getting those in need sheltered is the first step toward giving Lydia Place time to figure out follow-up services and find a more permanent situation. Lydia Place has served Whatcom County since 1989, providing services to homeless families and individuals, and working to dismantle stereotypes of homelessness in our community. 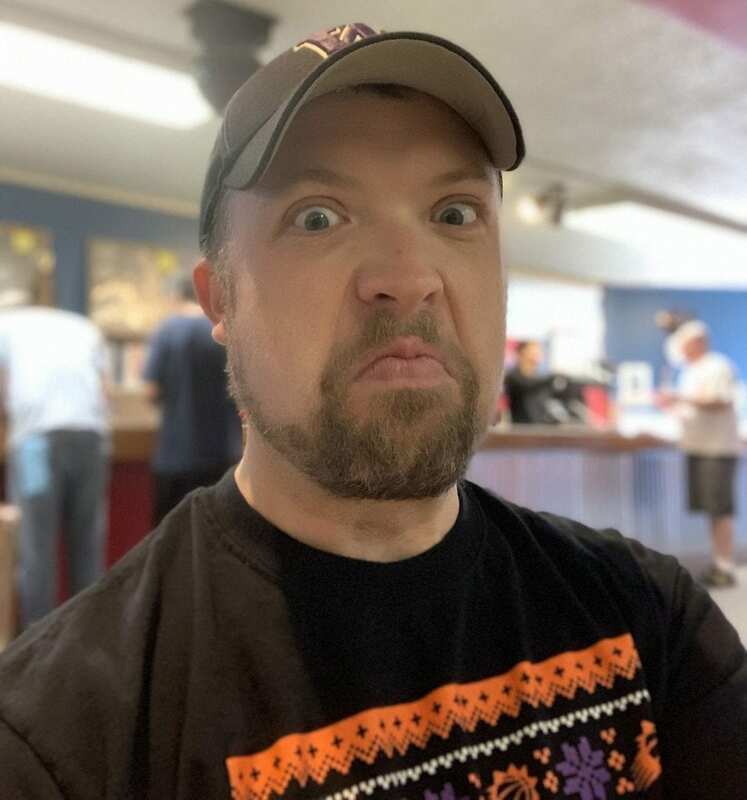 Dana Weber is “the one to beat” at this event, but he’s hoping his bowling face scares off the competition. Photo courtesy: Dana Weber. From expectant mothers close to due dates living in vehicles, to a sick child living in a car with worsening symptoms because of extreme temperature fluctuations – Lydia Place could not turn away from the need. “Lydia Place said yes, and we keep saying yes, because these situations warrant it,” says Rabatin. Unfortunately, the high need and high cost put the organization in a budgetary pinch. And, given the weather we’ve already faced in 2019, they expect an even greater demand this year – a demand they are committed to meeting. Bowling for Beds is a creative new fundraiser aimed at helping do just that. 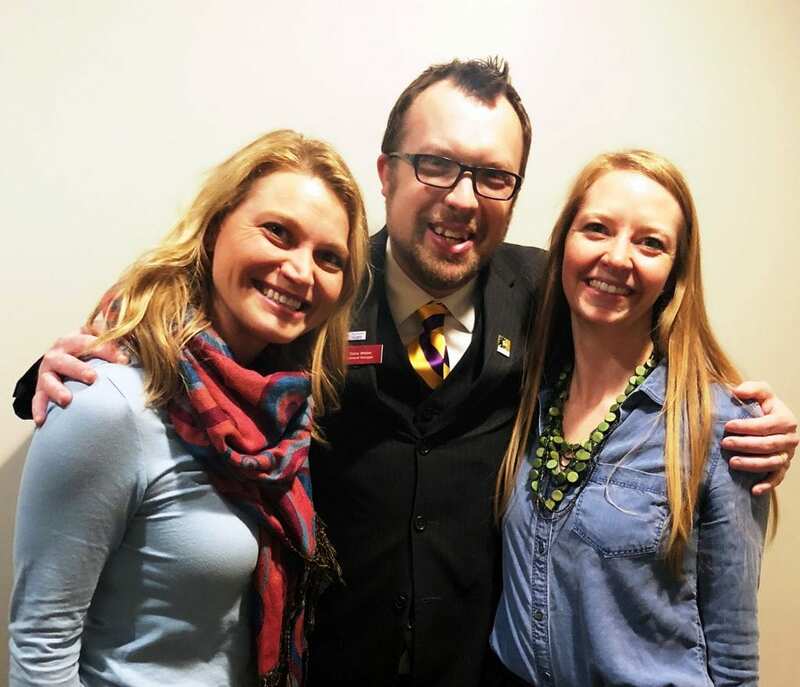 Tally met MegAnne Offredi, now the director of sales and marketing at Holiday Inn and Suites, and Dana Weber, general manager at the Best Western Plus, ten years ago, through Whatcom Young Professionals (WYP). They formed a friendship and have enjoyed being in the same community ever since, seeing one another regularly at events around town. For four years, Tally organized a charity bowling tournament for WYPs. Memories of how much they all enjoyed that event – and the fierce (but friendly) competition on the lanes – sparked the forthcoming Bowling for Beds, on March 29th from 5:00 pm. To 8:00 p.m. at 20th Century Bowling, to benefit Lydia Place. 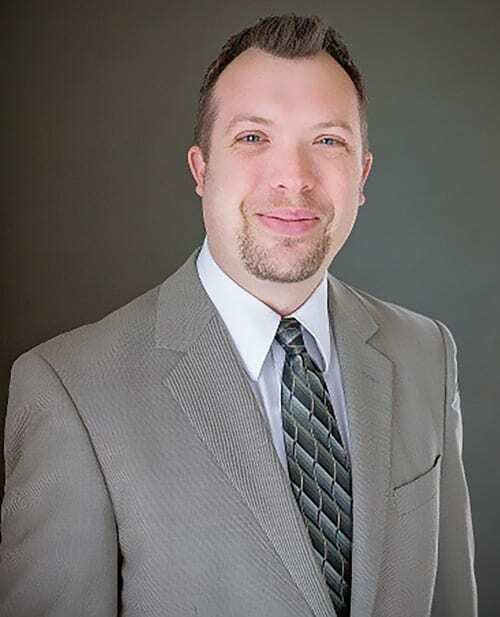 Dana Weber is the general manager at the Best Western Plus, Bellingham. Photo courtesy: Dana Weber. “It’s all friendly competition between the hotels. We definitely love helping the community together and having fun with that, as well,” says MegAnne, who points out that Dana, an accomplished bowler with regular scores over 200, is the one to beat. Bowling for Beds will consist of five teams, each sponsored by a major hotel in town. To become sponsors of the event, each of the five hotels had to donate 10 room nights to Lydia Place – to get the ball rolling, so to speak. The five major sponsors are: Holiday Inn and Suites Bellingham Airport, Springhill Suites by Marriott, Four Points by Sheraton, Best Western Plus Bellingham Airport Hotel, and the Home2 Suites by Hilton. The public is invited to participate or simply be a supportive spectator. Folks can join a team and play, or sponsor a player by donating money to help boost their score. Teams will also accept donations, to help them win, which can be dropped at any of the five hotels. Each of the five teams are made up of hotel employees, friends, family, and a host of community members who want to help push this event over the top create as many bed nights as possible for Lydia Place. The Holiday Inn Hotel & Suites is one of five hotels helping benefit Lydia Place with Bowling for Beds. 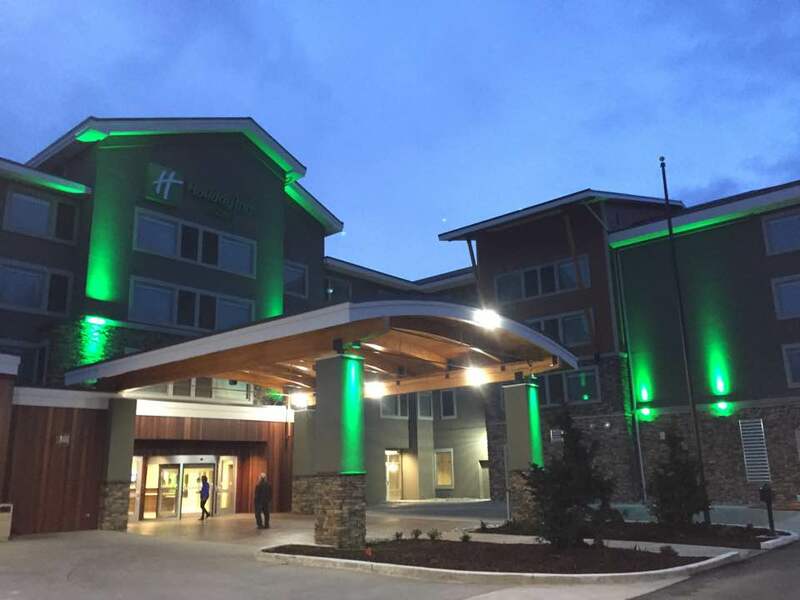 Photo courtesy: Holiday Inn & Suites-Bellingham. For the $50 entry fee, bowlers receive a t-shirt, some drink tickets, snacks, and rental shoes. Team spaces are limited to 90 bowlers and the slots are filling fast, so organizers recommend those interested act now to secure a place on one of the teams. You can sign up on the event’s website. “You win through either dollars or scores,” says Tally. Each hotel location has a donation jar at their front desk and those donations count as points for that team. The team with the most total team points, plus dollars, wins. The top team, all 18 members, will receive a prize pack, which Tally coyly would not reveal at the time of this writing. “But they will be fabulous,” she says. There will also be prizes for the top bowler, and a “gutter-ball” prize for the lowest score – which undoubtedly will not go to Dana. The organizers stress that this is a family friendly event and everyone is welcome. There will be a bumper lane up for the kids to bowl, too. The final showdown – or, the day that Dana should be especially careful, as his opponents plot ways to take him down on the lanes – takes place March 29 from 5:00 p.m. to 8:00 p.m. at 20th Century Lanes.